Authors: J.H. Verkerke and Verkerke, J.H. Book Description: This is the first in a series of Contracts casebooks. It was originally titled "Collaborative Teaching Materials for Contracts. "The first semester of law school is mostly about learning to speak a new legal language (but emphatically not “legalese”), to formulate and evaluate legal arguments, to become comfortable with the distinctive style of legal analysis. We could teach these skills using almost any legal topic. But we begin the first-year curriculum with subjects that pervade the entire field of law. Contract principles have a long history and they form a significant part of the way that lawyers think about many legal problems. As you will discover when you study insurance law, employment law, family law, and dozens of other practice areas, your knowledge of contract doctrine and theory will be invaluable. J.H. Verkerke and Verkerke, J.H. 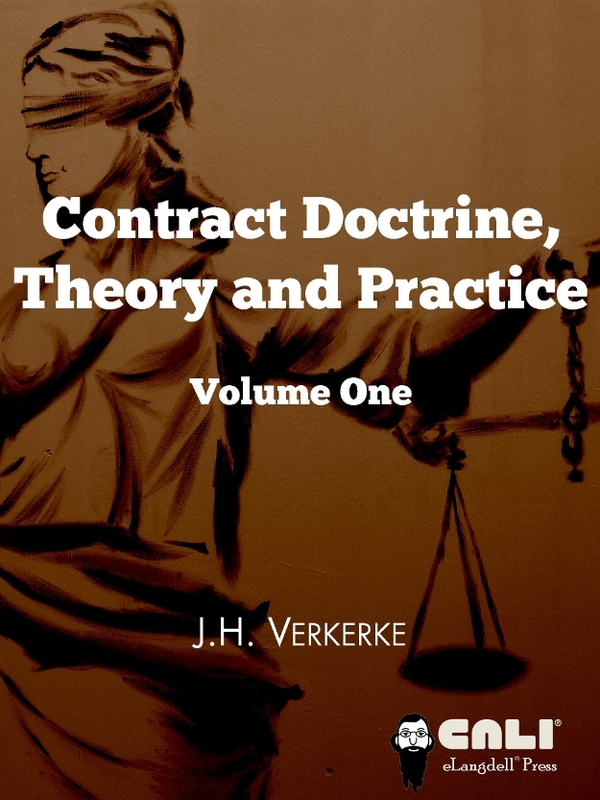 Contracts Doctrine, Theory and Practice by CALI is licensed under a Creative Commons Attribution-ShareAlike 4.0 International License, except where otherwise noted.